Cult favorite and winner of multiple major awards, Laura Mercier's "best in beauty," #1 setting powder* is your go-to powder. Pros love the super smooth application, which goes on evenly, blends effortlessly and provides great wear. Sets makeup for 12 hours without adding weight or texture. A touch of sheer coverage with a matte finish sets makeup flawlessly for 12 hours. This lightweight, finely-milled powder doesn't add weight or texture to skin. Doesn't settle into fine lines and never looks cakey. This no-flashback formula is perfect for photos and creates a soft-focus effect to subtly blur the look of fine lines and imperfections. Translucent Medium Deep: Ideal for medium-deep to deep skin tones. Laura recommends applying with the Velour Puff (sold separately). Preparing the puff is key: press the Velour Puff into the loose powder, then work the powder into the puff by folding and rubbing the halves together, or by tapping the powdered side vigorously on back of hand. Gently press puff onto skin, using a rolling motion to "work" the powder in. 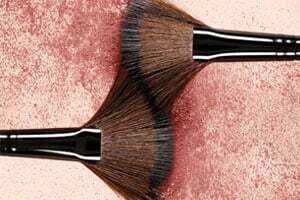 As with all setting powders, apply after any creamy formulas, including cream blush. TALC, MAGNESIUM MYRISTATE, NYLON-12, CAPRYLIC/ CAPRIC TRIGLYCERIDE, ETHYLHEXYL PALMITATE, ZEA MAYS (CORN) STARCH, SODIUM DEHYDROACETATE, METHYLPARABEN, LAUROYL LYSINE, PROPYLPARABEN, POLYMETHYL METHACRYLATE, METHICONE, ASCORBYL PALMITATE, BUTYLPARABEN, TOCOPHEROL. MAY CONTAIN/ PEUT CONTENIR/(+/-): CI 77491, CI 77492, CI 77499 (IRON OXIDES), CI 77007 (ULTRAMARINES).